Here at Magnuson Ford, we believe that it is our responsibility as a business to give back to the community that have helped make us what we are today. Without your support, our Ford dealership wouldn’t be the success that it is today. That’s why we dedicate ourselves to doing all we can to aid our local communities of Abbotsford, Chilliwack, Mission, Langley, and Surrey. This prestigious award is Ford Motor Company’s highest award that can be given to its dealerships, and is given only to dealerships who have demonstrated outstanding sales and customer satisfaction. Magnuson Ford is proud to have recently received one of these awards, and better yet, we’ve become part of the Diamond Club. This club is for only the most elite of Ford dealers who go above and beyond even what is expected from those who receive The President’s Award. We pride ourselves on our commitment to excellence, and promise to continue our efforts to provide our customers with exceptional service. Every year, one new car dealership in each of British Columbia’s six regions who have shown tremendous community involvement are given this award. 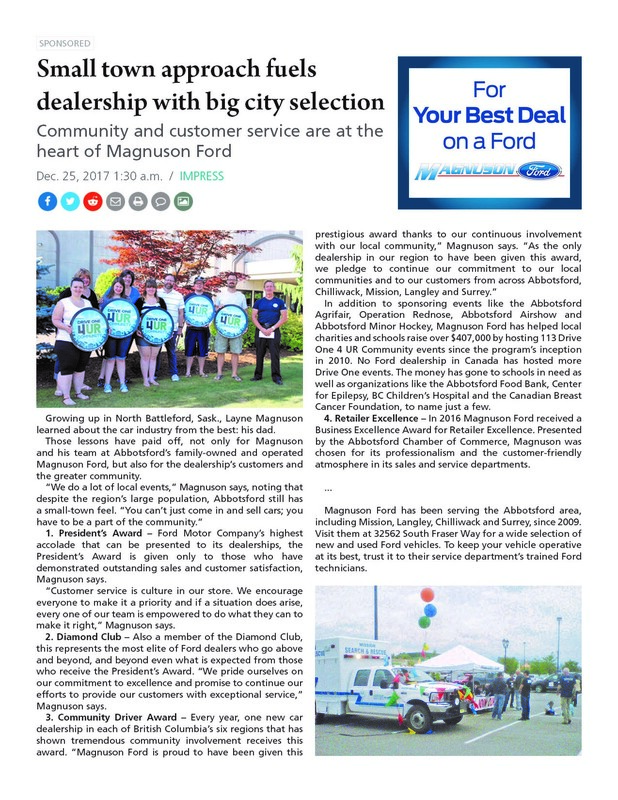 Magnuson Ford is proud to have been given this prestigious award thanks to our continuous involvement with our local community. 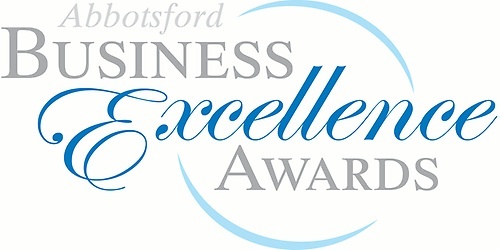 As the only dealership in our region to have been given this award, we pledge to continue our commitment to our local communities and to our customers from across Abbotsford, Chilliwack, Mission, Langley, and Surrey.